The Greater Bandon Association has named the July recipient of its Volunteer of the Month award. Juanita and Bob Graville becomes the ninth winner of the award. 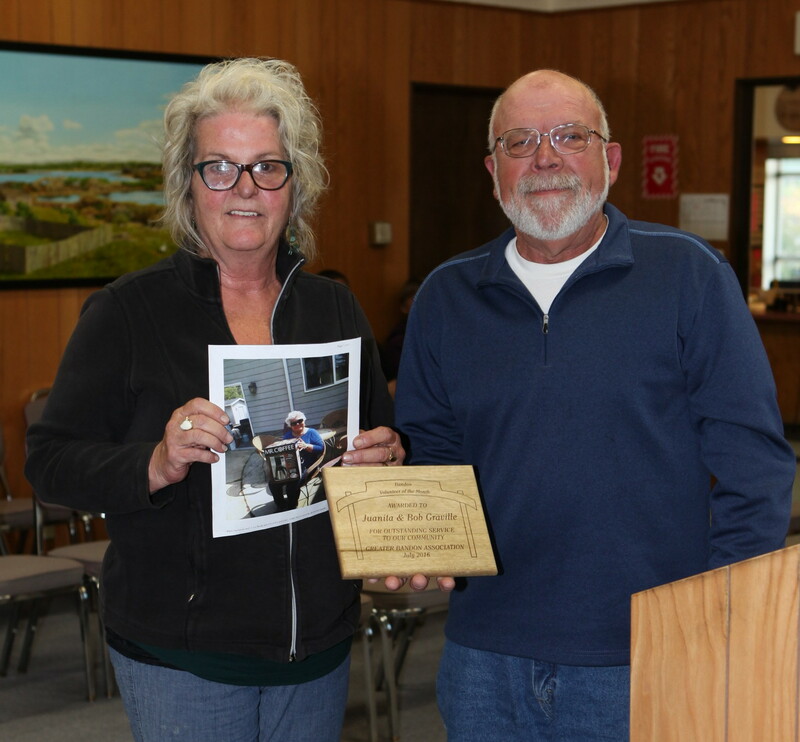 They were presented the award by BBA Board Member Gina Daerth in form of a plaque and a gift certificate donated by Tony’s Crab Shack at the July 11th meeting of Bandon’s City Council. Juanita and Bob were nominated by the Port of Bandon. They are fantastic port ambassadors educating visitors and volunteering their time in many other ways in town too. They love their life in Bandon and openly express it all the time. Always positive, happy and living large in Bandon.